This ring was made for a customer that already had the center diamond. 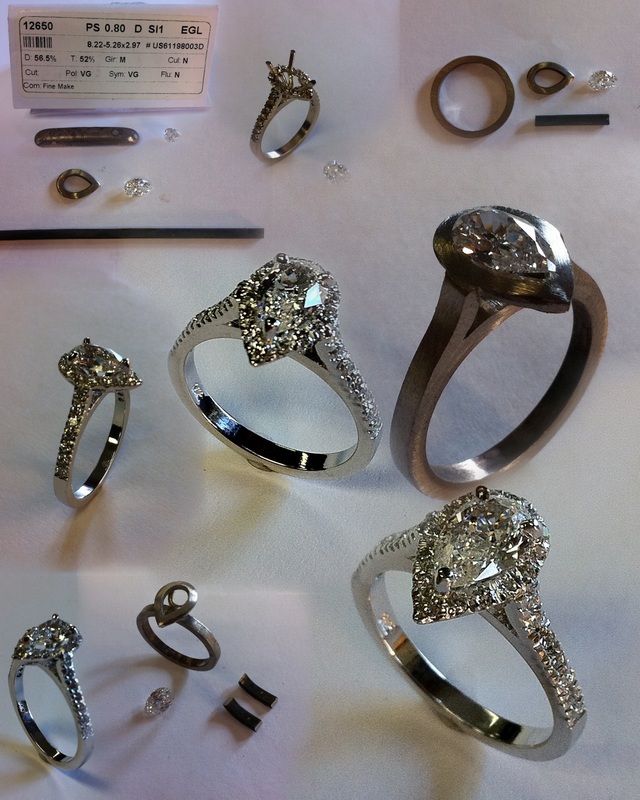 Some customers want us to document the start to finish of the ring. This collage shows how the ring evolved from just a piece of metal.